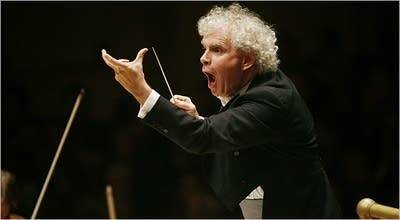 Conductor Simon Rattle is back to introduce the Symphony No. 2, by Johannes Brahms. (Every Tuesday this month, Rattle joins host Fred Child to introduce one of the four Brahms symphonies.) Rattle says "this is a work where real unalloyed joy comes out, and that, in all of Brahms' output, is fairly rare." And we'll go to a concert in Berlin, with Rattle conducting the Berlin Philharmonic, in the complete symphony. : March from "Symphonic Metamorphosis on Themes of Carl Maria von Weber"